We are in mid season. Skipper Dave Roberts and crew Tomas Geipel and Lizzy Fitzsimmons are just finishing their first of two Antarctic Peninsula cruises with a team of climbers led by Stephen Venables. They have just summited Mt Francais on Anvers Island a few days ago. Check out the Venables web site in a few weeks time for the details http://www.stephenvenables.org . Meanwhile, I am just back from our months cruise on Pelagic with family and friends, in conjunction with the Southern Wind Sailing Academy. See: http://www.southernwindshipyard.com/sailingacademy.php?pagina=sailingacademy. 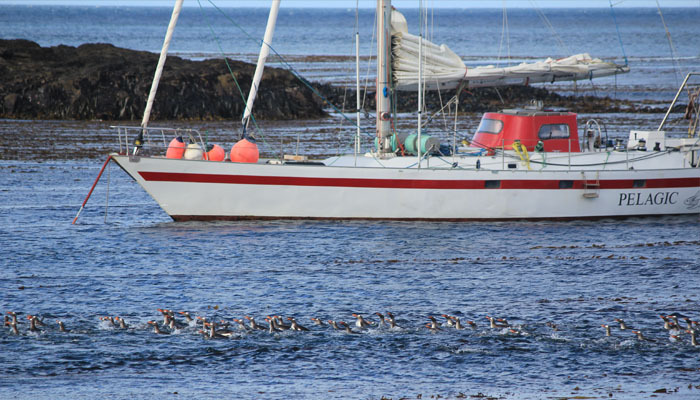 From Stanley we sailed north about East and West Falklands stopping at Carcass, Steeple Jason and Grand Jason Islands. 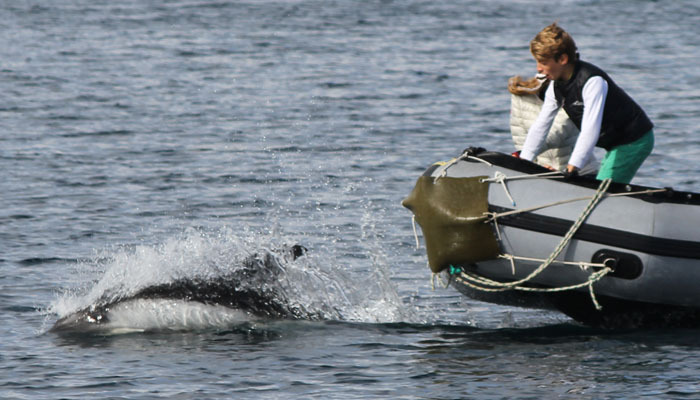 The Falklands are hugely underrated as a cruising destination with prolific wildlife and challenging navigation. 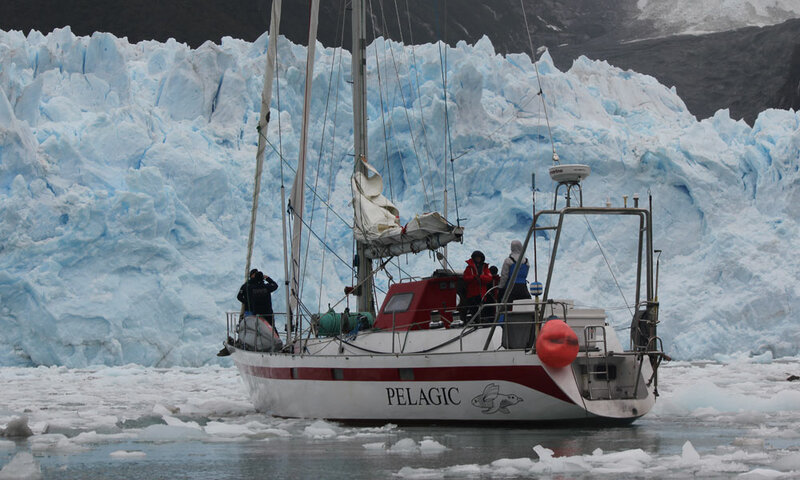 We will be promoting Falkland cruises with more vigor in the future and the original Pelagic is the perfect vessel to get in close to the action. From there we sailed to Punta Arenas via the eastern entrance of the Straits of Magellan, luckily in benign weather. From there, after New Year’s Eve in Punta, we continued on through more familiar territory via the inside route eventually linking up to the Beagle Channel and finishing in Puerto Williams, the last week being chased downwind by a ferocious southwesterly airstream with snow squalls. In spite of closed, wet conditions this route is always a treat. This season is almost done and dusted with regards capacity. Next season, 2016/17, check the Programmes Menu - plenty of good stuff to do, but that season is filling up fast!